What are lifecycle solutions? Simply put, we adopt a comprehensive approach; and this allows us to assist our clients through every step of the way. 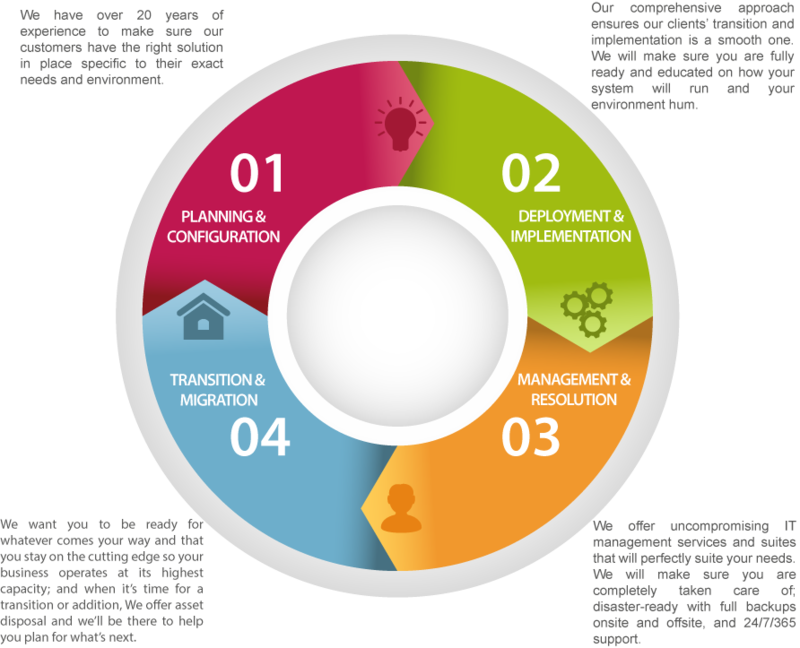 We offer the experience and expertise to assist with planning and configuration, deployment and implementation, management and resolution, transition and migration, and the cycle begins again. We have a comprehensive suite of solutions to build any unique POS project requirements and proficient and skilled staff to manage it. With our agility in the marketplace, coupled with our decades of experience, we are in a unique position with the know-how and availability to partner with our clients to assure they achieve their goals.